Apparently we have just entered the Summer term… I’m waiting for the weather to catch up to our schedule because where I am it snowed on Monday and Tuesday! When the temperature eventually rises, you have an opening to broaden your curriculum. There is a horrible train of thought amongst some Secondary P.E teachers (I’m Secondary trained) that the Summer term is “when the Primary teachers actually do some P.E to get ready for Sports day”. Since making the move from Key Stages 3-5 to 1-2, I’m pleased to say that on the whole I have found this not to be the case. But some teachers can fall into old habits and play a little rounders and practice Sports Day stuff and that is Summer’s P.E done. I want to challenge those individuals to try something new this Summer. 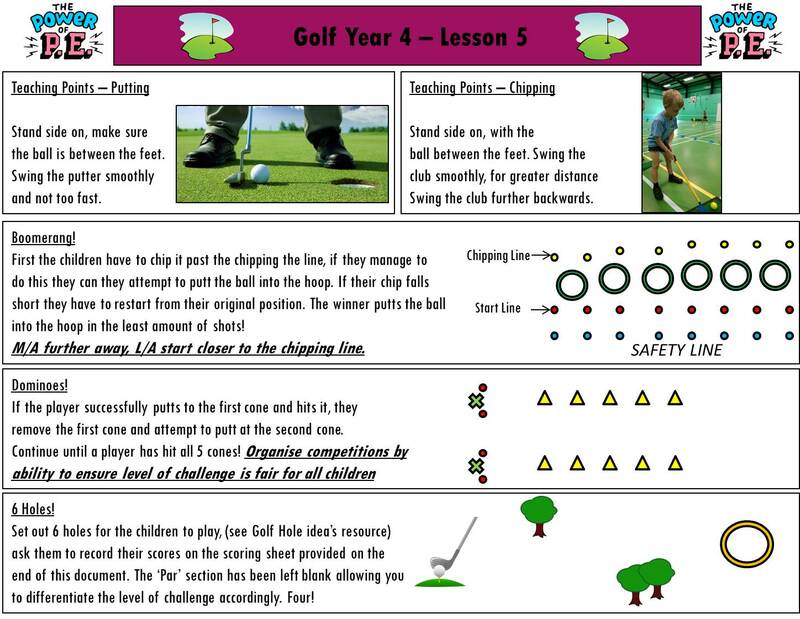 I’m not saying anything negative regarding Athletics and Rounders, but let’s make sure the Summer term is used to continue to teach the children the key principles of P.E. You might love enjoying the sun of your face whilst the kids play a game for 30 minutes, the kids however, might not. Sorry to rock the boat. 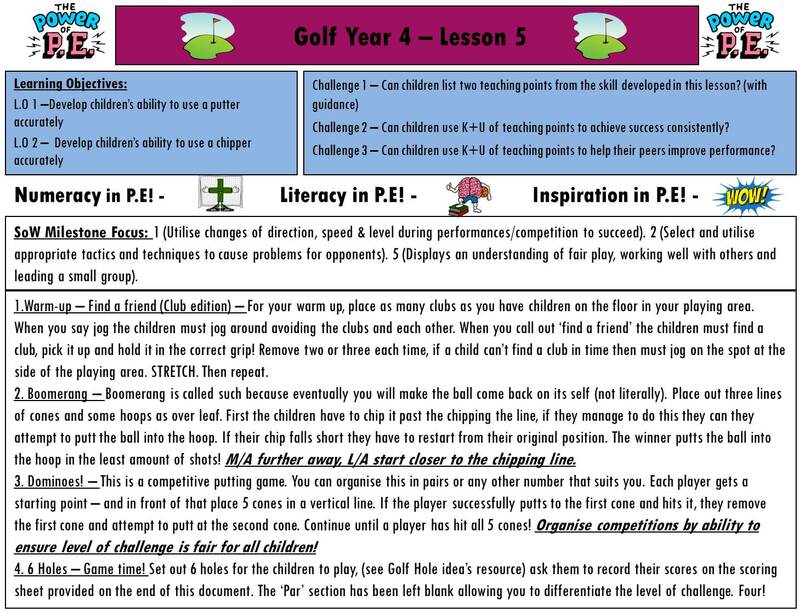 In my opinion having a range of quality Primary P.E Schemes of Work will allow your Staff to try some new activities to challenge and engage all involved. 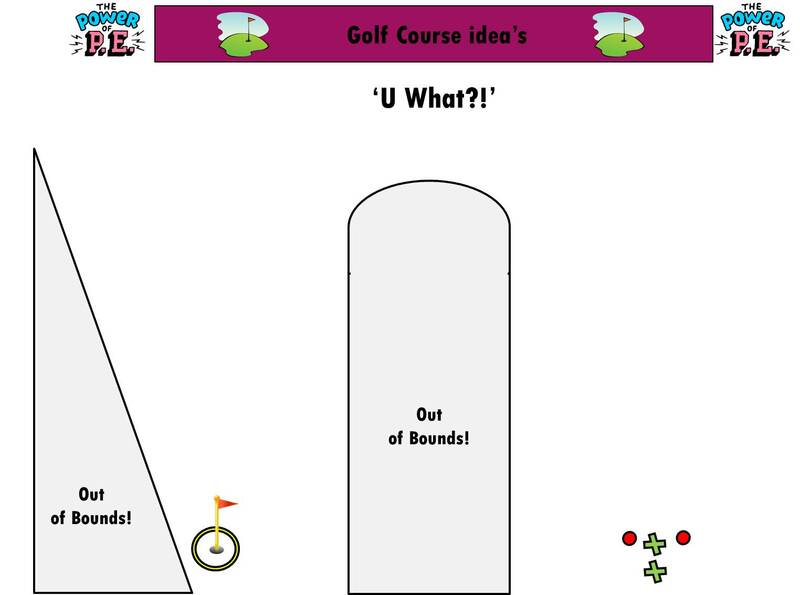 Why not Tri-Golf? It is a completely different skill set both physically and mentally. 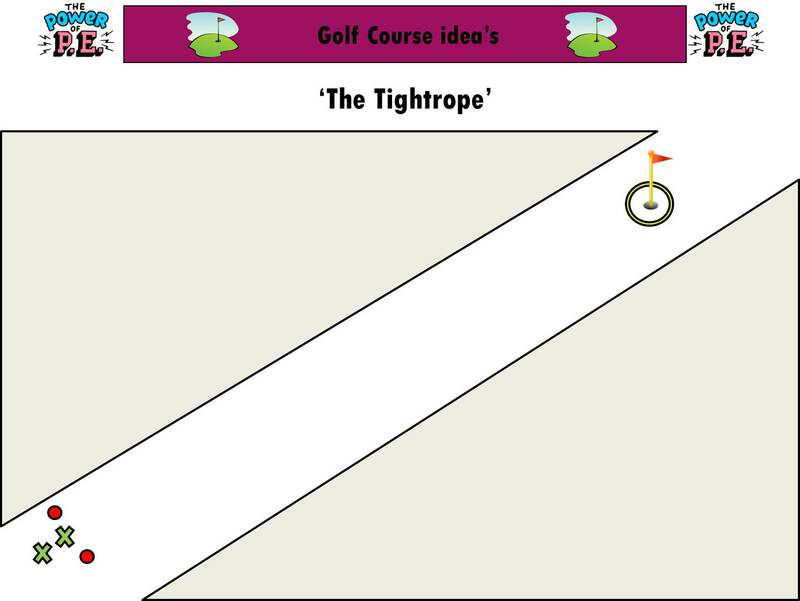 It requires the children to strategically navigate obstacles and activities can easily be differentiated. 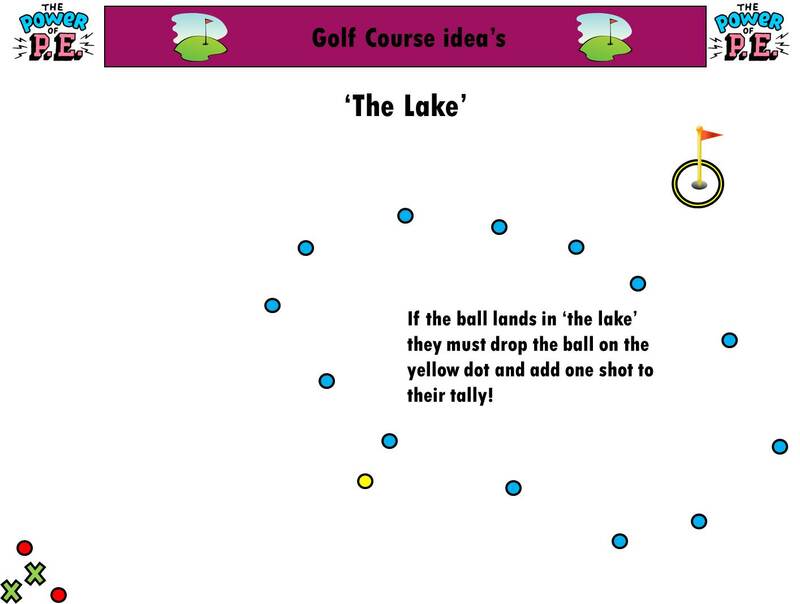 In my opinion an effective Tri-Golf lesson should involve the teacher setting out a course and the children playing it. They will need to develop skills. 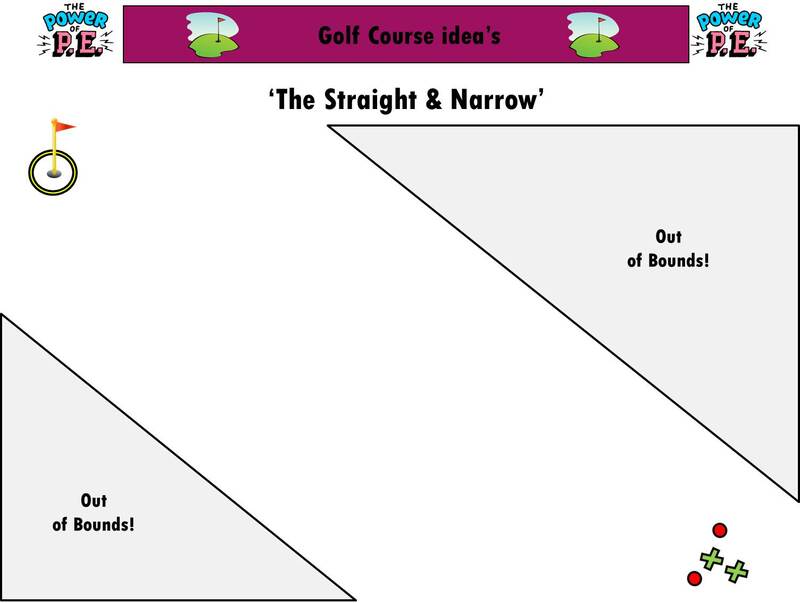 I’ve attached a little example below in an attempt to explain what I mean…. 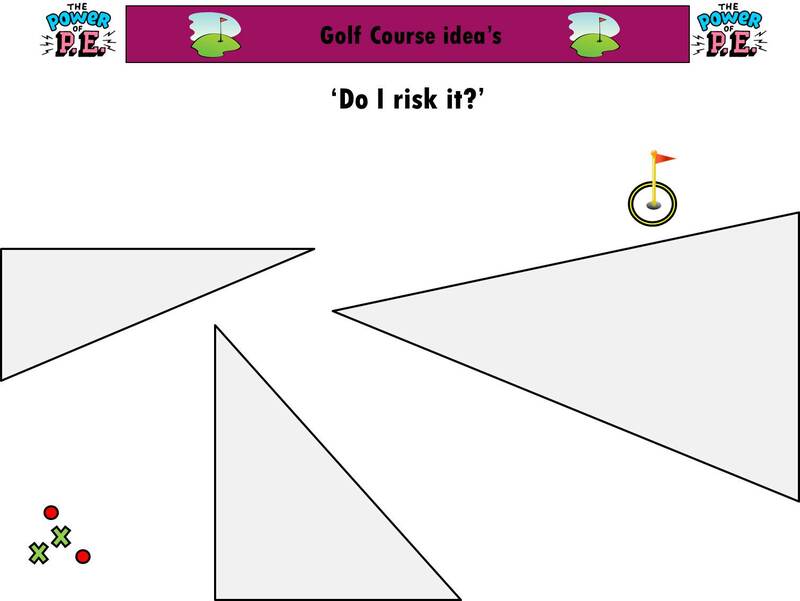 One of the main stumbling blocks when Staff want to branch out and try a couple of new activities is a lack of knowledge and/or idea’s. So perhaps ask your P.E Co-ordinator to write up a few Schemes of Work for the Staff at your School to use. I can’t recommend it enough. 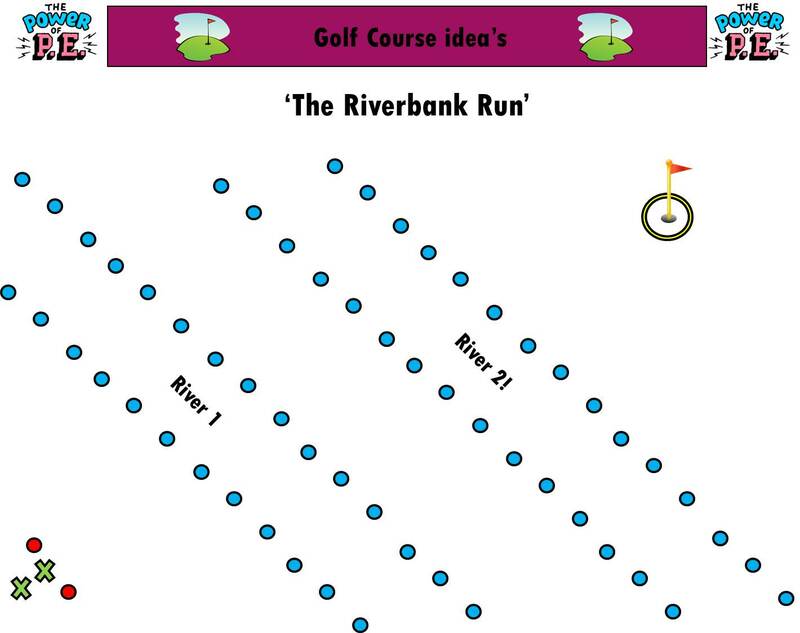 You might have an NQT who fancies teaching Orienteering in Summer because it links into their Geography topic, or they are reading a core text that involves some map reading so it could be inter-twined with that using role play. The only barrier is lack of knowledge and the time to research how to do it properly. So write some! If they don’t want to write some stock lessons, perhaps think about purchasing some? We are all very aware of how tight the budget is at the minute – it looks like it will get worse before getting better. Some Schools are spending large amounts on external coaches to take P.E. This means that there existing Staff receive limited P.E CPD for high expense. Why not buy a Primary P.E planning package for a fraction of the price and allow the Staff to increase their K+U whilst saving money?! I understand that I am biased when I say this, after all, I sell Primary P.E Planning and it has worked incredibly well in the Schools that I teach in. But I think you would struggle to deny that there is logic in the strategy. I’m saying that you should necessarily buy ‘The Power of P.E Complete P.E Package’ – it may not suit your School/Staff. But it might just be an effective strategy of broadening your curriculum and saving money…. 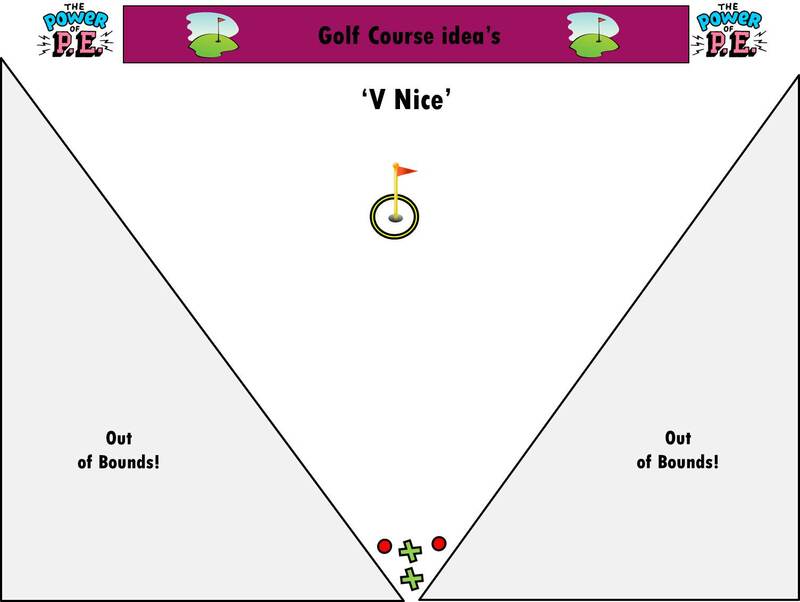 Back to Tri-Golf. 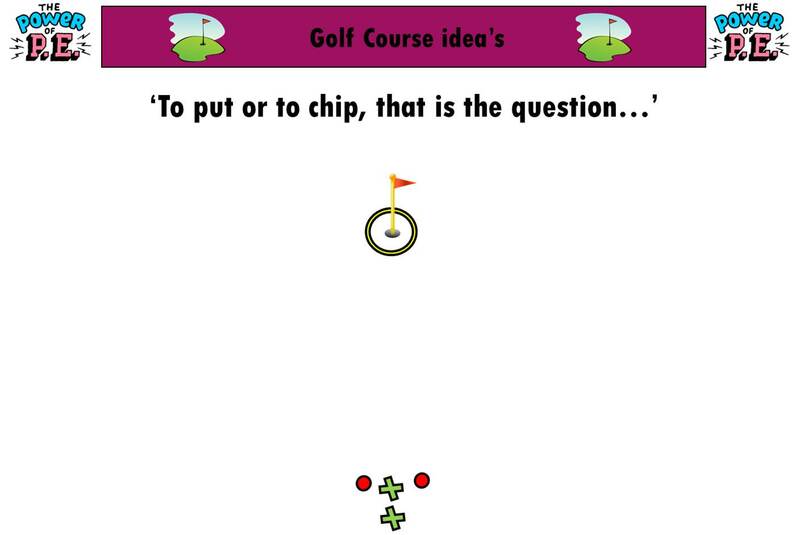 I understand that a significant barrier to giving it a go might be creating fun/challenging ‘holes’. 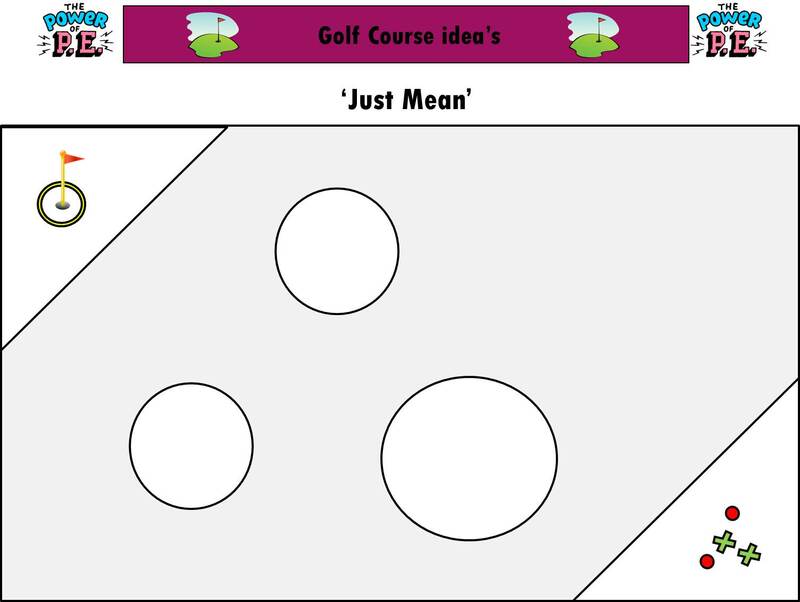 So below you’ll find a load of idea’s for Tri-Golf holes. Give them go!